Hey All, here is a song I've been working on. It isa VERY ROUGH VERSION NOT CLOSE TO DONE! 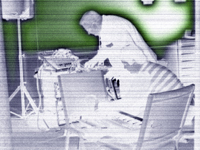 The above is a track that I co-produced with and individual by the name Andy Bernardy. Collectively we are known as the group DISCRETE. We started by using a chord progression I had improvised the night before for the chorus. 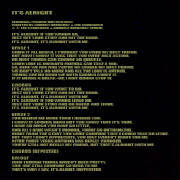 I then heard the change at the end of the song and then Andy and I finished writing the verses and the lyrics. I am grateful for Andy's help in finishing the song. 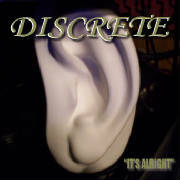 The following is the album cover for the DISCRETE project. I had an opportunity to use my Graphic Design skills.